WASHINGTON, DC, U.S. — Global sales of Fairtrade products rose by 8 percent to nearly $9.2 billion in 2017, generating Fairtrade Premiums of more than $193 million for farmers’ and workers’ organizations. The US now ranks as the third largest market for Fairtrade goods behind the United Kingdom and Germany. Retail sales in the US topped $1 billion. In 2017, Fairtrade worked with more than 1.6 million farmers and workers across 75 countries. More than 30,000 different products with the Fairtrade certified label are now available in 150 countries worldwide. In the US, volumes of key Fairtrade products grew significantly according to Fairtrade America. Cocoa increased by 33 percent. Bananas and avocados notched 51 percent and 58 percent growth, respectively. Fairtrade coffee farmers benefitted from a 24.5 percent sales increase. 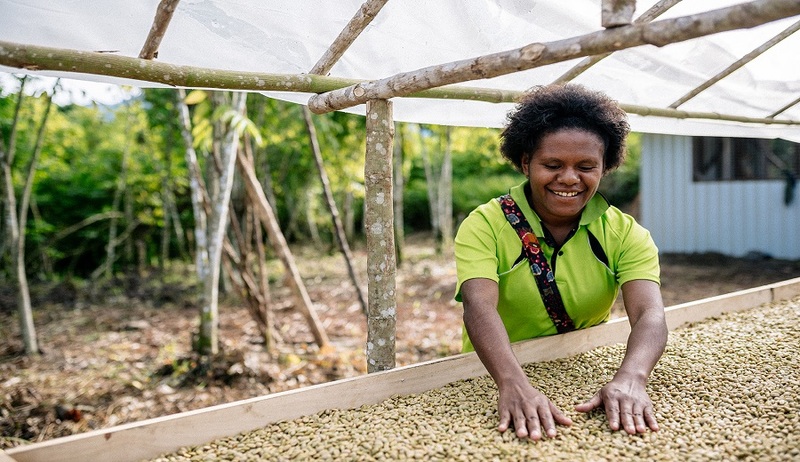 The 2017-2018 report showcases the Fairtrade system’s work to share the benefits of trade more equally, including strategies to achieve living incomes and fairer wages, strengthening the position of women and young people, supporting communities to mitigate the effects of climate change, and working with partners to achieve the United Nation’s Sustainable Development Goals. Beyond selling their goods on fairer terms, farmer and worker organizations have received an estimated $193 million in Fairtrade Premium funds to invest in projects of their choice – a 19 percent increase from the previous year. Farmers and workers elected to invest most of the funds in infrastructure and capacity building, bonuses for farmers and workers, and community development. The release of Fairtrade’s annual report comes at a difficult time for farmers around the world. The market price for coffee recently dipped below $1 per pound for the first time in 12 years (the Fairtrade Minimum Price is $1.40). Prices in cocoa also continue to be highly volatile, making it difficult for farmers to plan for their future and provide for their families. “Fairtrade’s strong growth is a good sign for farmers and workers, but current market conditions demonstrate that much more needs to be done to truly improve livelihoods,” said Stefanie Kruglik, Impact and Innovation Manager at Fairtrade America, the US-member of the Fairtrade International system. Read more in Fairtrade International’s Annual Report here (PDF). The Fairtrade label, licensed by Fairtrade America, is the most recognized and trusted ethical certification worldwide. By complying with the rigorous social, economic and environmental criteria in the internationally-agreed Fairtrade Standards, farmers, traders and brands can improve the sustainability of their entire supply chain. There are currently more than 1.6 million farmers and workers in certified organizations across 75 countries. The Fairtrade label appears on more than 30,000 products sold in over 150 countries. Visit www.fairtradeamerica.org to learn more.